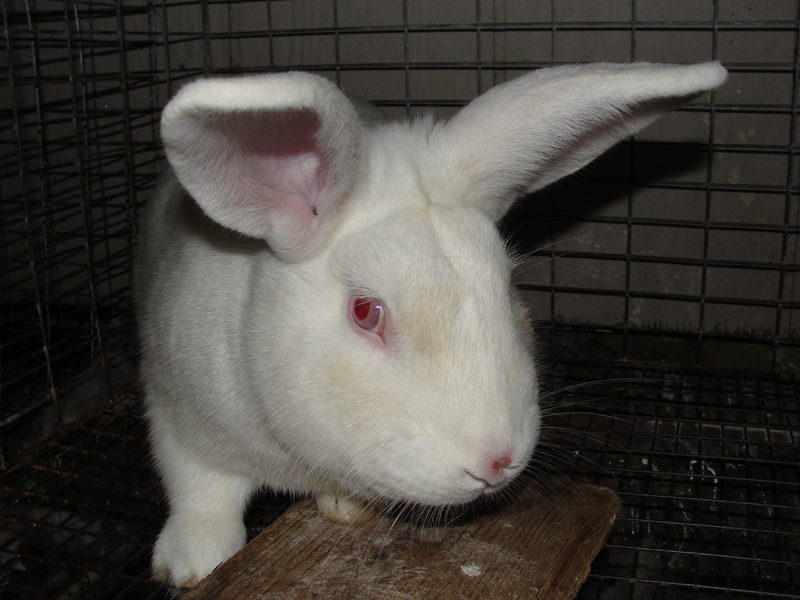 When I bred the rabbits it appeared that the male (Scofield) wasn’t “finishing” the job. The female would dominate him and he’d go running away. 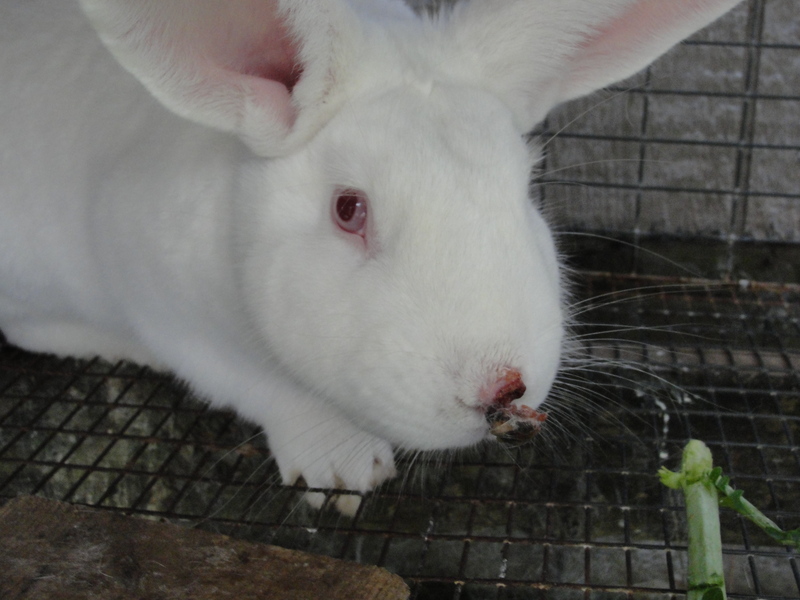 During their last encounter the doe scratched/bit Scofield’s nose which proceeded to get infected and swelled to an abnormal size. 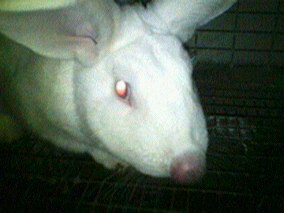 It looked like Rudolph the red nosed rabbit. Taking an animal to the vet isn’t really a feasible option with our small scale operation. 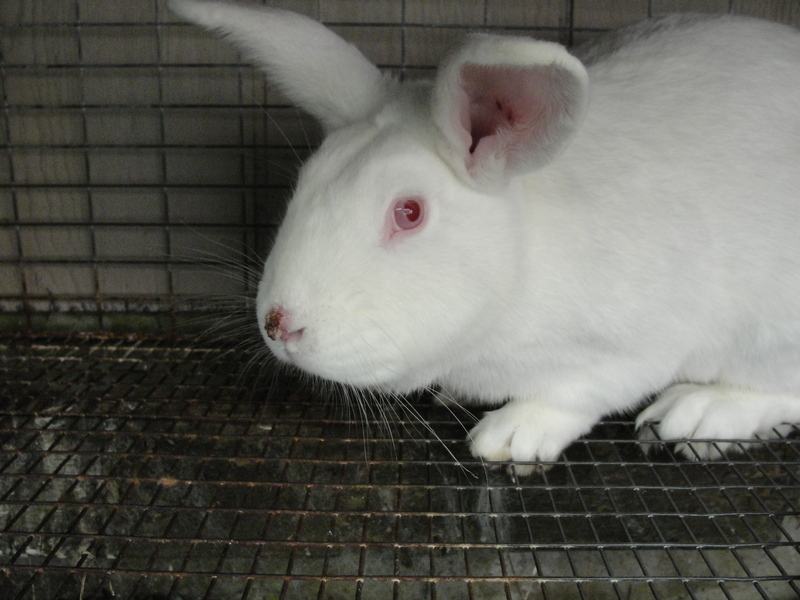 A vet bill would likely be over $50 whereas a new rabbit would only cost $10. This meant our options were to treat him, or eat him. I felt this would be a good opportunity to nurse him back to health. First we would need to lance the infected area. I had my mother come over and hold the rabbit down. We used a blanket to pin him down on a sheet of plywood so that he couldn’t wiggle or dig himself free. I attempted to clean the area with iodine wipes but it didn’t seem to be doing the trick so I used an alcohol wipe which Scofield did not appreciate at all. Using a disposable scalpel I made a small incision on the bottom right of the enlarged nose to allow the fluid to drain away from his nostrils. I then proceeded to squeeze a whitish-yellow cream-like substance out of his nose. He held still for the majority of the procedure which leads me to believe that this was reducing the amount of pain he was in. This took approximately 10 minutes as there was quite a bit of puss built up. Towards the end he began to get more agitated as my squeezing was causing more pain than relief but we were able to get the rest of the substance out. There was not very much blood and the substance was thick and creamy as opposed to watery. In summary it was like popping a really big zit. Once the puss had been cleared his nose had excess skin hanging down. I sprayed this with Colloidal Silver as recommended by some fellow rabbit owners. 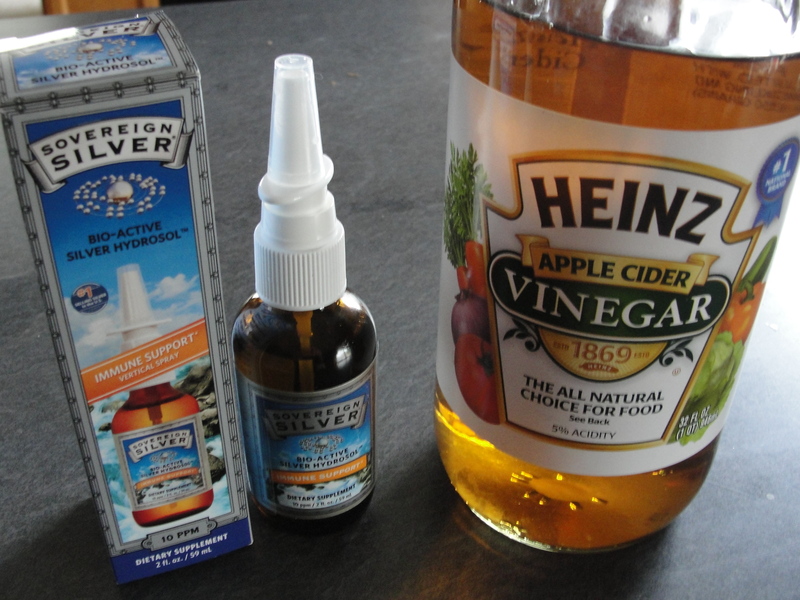 I then added some colloidal silver as well as some apple cider vinegar to his water (these are said to help boost the immune system), and a big carrot to help calm him back down. Colloidal Silver can be purchased at health food stores like New Seasons in the Flu/Antibiotics section. I was more worried he would die from the shock of the procedure than from the infection itself. It has been 3 days since the procedure and he appears well on his way to recovery. The excess skin scabbed over and was slowly falling off on its own as shown in the picture. I tried to apply Neosporin when he would let me however he wasn’t too keen on me touching his nose. 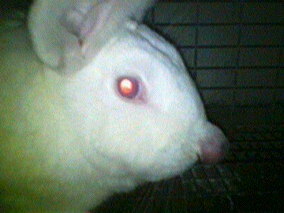 At one point we thought the issue might be myxomatosis http://en.wikipedia.org/wiki/Myxomatosis however luckily that was not the case. About a week after I lanced the infection Scofield is looking much better. Here you can see the nose is fully healed roughly 3 weeks later. He has a small scar but the infection is gone.